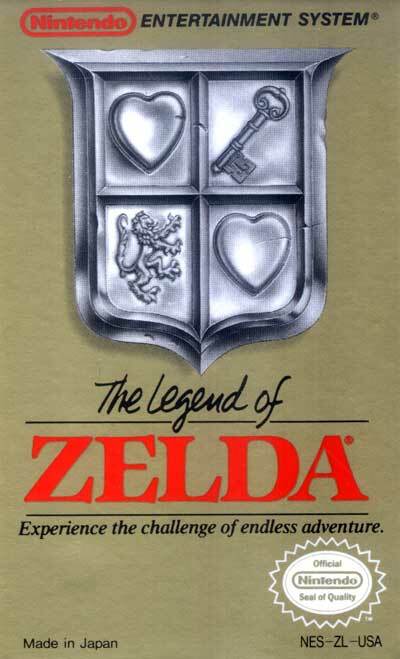 When Zelda was released, its gameplay defied categorization, incorporating elements from action games, adventure games, computer role-playing games, and computer puzzle games. The game begins with the player controlling Link, armed with a small shield. A sword is immediately available in a cave behind him. To advance, Link must explore the overworld, a large outdoor map with varied environments. Scattered across the overworld and hidden in caves, shrubbery, or behind walls are merchants, gamblers, old ladies, and other people who guide Link with cryptic clues. Barring Link's progress are creatures he must battle to locate the entrances to nine underground dungeons. Each dungeon is a unique, labyrinthine collection of rooms connected by doors and secret passages and guarded by monsters different from those found on the overworld. Link must navigate through each dungeon to obtain the eight pieces of the Triforce of Wisdom. Items, many required to complete his quest, are also stored in dungeons. The third dungeon, for example, contains a raft needed to reach the entrance to the fourth dungeon. Other accessories include upgrades for Link's sword and shield, bombs for uncovering secret caverns, a boomerang for retrieving items and freezing some enemies in their tracks, and a recorder with magical properties. The first six dungeons have visible entrances, but the remaining three are hidden. The order of completing the dungeons is arbitrary, but it is recommended to complete them in sequential order, because the higher the level number, the more difficult it is, but the final dungeon can only be entered after assembling the entire Triforce of Wisdom.